The Real World family is about to get a little bit bigger, and two Real World alum are about to receive a bundle of joy! 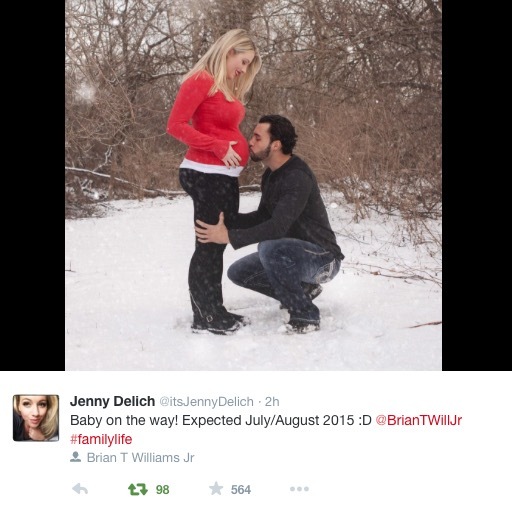 Jenny and her ex-ex Brian are expecting their first child! Based on the expected date of July/August, Jenny is likely 3-4 months pregnant at this point. I’m very excited for both of them, but a part of me is slightly saddened that we won’t be seeing Jenny on a Challenge any time soon. ← Madison’s Second Skeleton: Is MTV Taking it Too Far? I am happy for them. They were probably guaranteed to be on the summer challenge, I guess the next one than.